My husband works at a grade school with special needs children. Some of them are physically challenged and some mentally. But they are generally bright kids. This week at school they have just been doing busy fun work to wind down the school year which ends next week. They've been working their way through an activity book. 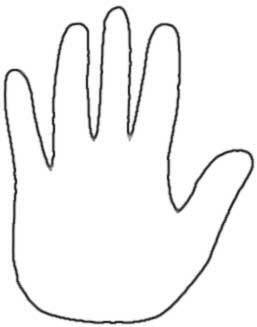 One of the activities today was to trace their hand for a picture. The kid he was working with today had no problem with this task and they moved on. On the next page the activity was for them to draw a self portrait. This one was a bit more challenging to explain. Him and the other teacher told him he needs to draw himself, his head and arms and such. So taking the lesson from drawing his hand, he plops his face down on the paper and hold the crayon up to my hubby saying "Draw draw!". My hubby and the other teacher couldn't do anything but laugh at first. When after a few minutes they hadn't done the requested drawing the kid looked up at them said "draw draw!" again then plopped his face back down. They managed to control their laughter this time and drew around his head for him so that he could complete his picture. Only a child would think to do it that way. I just had to share this story today because after a long boring day at work this made me laugh and put me in a good mood! Sunny Skies, Cool Breezes and Cinnamon Rolls!